Somehow it looks way neater in real life. But trust me that is as clean as it gets. Hooray! PS Cleaning up my desk had a beneficial side effect: that Amazon gift card had $15 on it! This may come as a surprise, but I didn’t go to Portland solely to shop for fabric. The main reason I went was to give a workshop at SD Expo, a conference for support professionals. My former coworker and current friend Andrea Badgley now works for Support Driven, the company that puts on SD Expo, and I was excited to hear that our flights arrived at about the same time. We took the train from the airport into the city together, and then met up with Denise, another Automattician for lunch at Deschutes Brewery. It was so great to see them again! Later, we went to the AirBNB offices and met up with some of the conference attendees and also toured the offices. Sounds weird, right? I was a bit skeptical about touring offices, but they were actually pretty cool. The next day, we were up bright and early for the expo, which was held at an arena on the campus of Portland State University. Automattic was also a sponsor, so we set up our booth and I freaked out about my workshop, which was that morning. My workshop was meant to help customer support agents get to the bottom of confusing questions from users. It happens. It was charmingly titled “I’m sorry, can you repeat the question? Getting to the bottom of what the customer is really asking”. I didn’t finish polishing it until the night before I left for Portland. I work best on a deadline, and I know this, but nevertheless, I probably could have done without the stress. And I was also determined to tailor a couple of WordPress t-shirts to wear, but they weren’t getting delivered until that day. So yeah. Time management skills are definitely not my forte. Since I was running a workshop and not just giving a talk, I needed an activity. I had a basic idea of what I was going to do (use low-tech scenarios to have people role-play customer and support agent) but I wasn’t sure how to execute it. I just couldn’t make it gel. But finally, about a week before, it came to me in a flash. Fast forward to Thursday at about 10:45am. I’m walking towards the workshop room with my colleague Ainslie, who volunteered to help me demonstrate and keep things moving. There was a crowd of people waiting outside the room. No, surely these people weren’t waiting to get into the room for my talk. Surely they were just…waiting in line for the bathroom? Or just chatting? Or were lost? Alas, my dream of having a half-full room for my workshop (just enough to not feel pathetic, but not too many to be overwhelmed) was shot down when all 48 seats at the tables were taken and another dozen or so people sat in chairs along the walls. I nervously confidently got started, and fortunately, only had to talk for about ten minutes before the fun part started – the activity. The workshop part went like this…everyone divided into pairs. One person was the customer, and the other was the support agent. They were given an envelope with two sealed cards. The customer’s card detailed a problem they were having with a company’s product. The support agent’s card only said what the company was. The agent had to guess what the problem was, using techniques I’d discussed in my talk. In the demo, I was the customer, and Ainslie was the support agent. 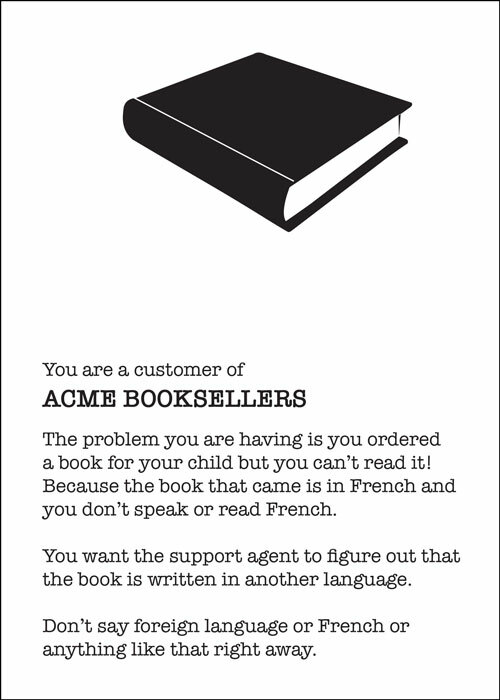 I started out saying “I got a book to read to my kid, but I can’t read it!” She asked, “is there anything wrong with the book?” I clarified that no, the book itself was fine, the pages weren’t torn or anything. But I just couldn’t read the words. And YES, I can read. After a few probing questions, she thought to ask me to spell a few of the words to her. “B-O-N J-O-U-R”, I said. And voila! She figured out the problem. Here’s what my card said. The rest of the scenarios were similar, and you can download the set here, if you like. The discussion was lively, and people ran through several scenarios in the time we had. The room got loud! So loud we had to borrow one of the participants to whistle for us. There were still about ten minutes left, so I opened the floor to let people talk about their experiences either at the workshop or in real life, or if they had questions. Naturally I expected dead silence, but I was happy that we had a lively discussion with people asking questions and hands being raised and I got to call on people and pretend like I was a teacher and everything. It was fantastic. I can’t talk about SD Expo, though, without talking about my colleagues’ talks. Denise gave a workshop on weekend scheduling that gave me a profound respect for the work she does at Automattic. Maureen talked about the concierge support we give to our Business-level users, and we got to do a fun Mad Libs activity. And Kathryn talked about her experiences in the WordPress community forums, which she’s been involved with for many years. I also got to talk to potential Happiness Engineer candidates (you know we’re hiring, right? ), pick the brains of other people who hire support teams for their companies, eat amazing doughnuts, meet some famous cats, and fly home first class. Not bad! Every website needed a splash page in 2003! But ten years ago today, on July 11, 2008, I moved my blog to WordPress.com – for several years before that, it was hosted, uh, elsewhere. But once I met WordPress, it was love at first site sight. Finally on WordPress.com in 2008! And of course, in 2013 it led to me working at Automattic. My dream job! I don’t blog for a big audience. I blog to document my life, so I can go back and read it later. (I’m hopelessly nostalgic.) I blog because there was no way I was going to be able to keep three baby books going. I blog because I love photography. And I love to photograph my kids. I blog because I like to keep in touch with old friends. And if it weren’t for WordPress, I surely would have given up long ago. And I wouldn’t have the amazing colleagues and friends I’ve made over the past four and a half years. I wouldn’t have a job I love, that constantly challenges me. I wouldn’t have Ziggy! I’ve been waiting for this for four years. This is what we get when we’ve been at Automattic for that long. A customized MacBook Pro. Ain’t she beautiful? I got back the other day from a week-long work trip to Austin with one of the two teams I work on. It was a great week of bonding (we have a lot of new Automatticians on the team that I hadn’t met yet) and eating. I have decided that if it came down to food, I’d much rather live in Austin than New Orleans. Wait. I like BBQ after all! I look good in a bikini. The grackle. Our meetup mascot. Man, did this year go by fast, or what? Beckett bought me a birthday crown! Then celebrated again with my friends once I was back home. This lady drives us to school?!?? Not much besides Mardi Gras, really. My Achilles’ tendon started hurting. Went to Vegas for Kiki’s 40th. Spoke at my first WordCamp, in Dayton. Ran the Shamrockin’ Run for the third time. Scott Bakula was in our front yard. The kids made a poster for her, and the adults made a few too. Kiki came to visit and we had a garage sale. We also went on a big boat and watched missed seeing Heather finish her first Ironman triathlon. I took the boys to Virginia. The boys made a movie. 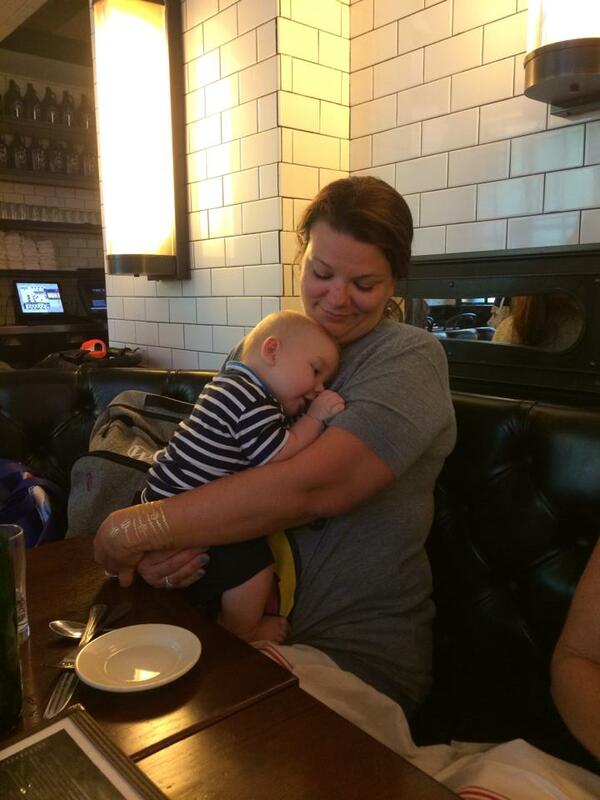 I wrote a v popular post for the New Orleans Moms Blog. Started physical therapy for my Achilles’ tendon. George and I gallivanted around England. 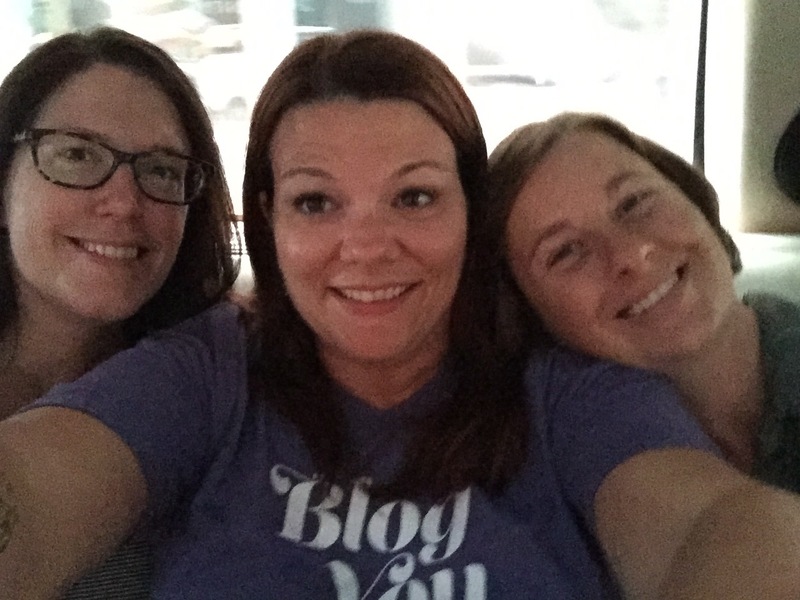 I went to NYC for BlogHer. Completed my third (and last) triathlon. My coworker came to visit. I photographed my friends’ wedding. The boys started 2nd grade. I went uber-Goth for the NOMB Mom’s Night Out. We got a new fridge! 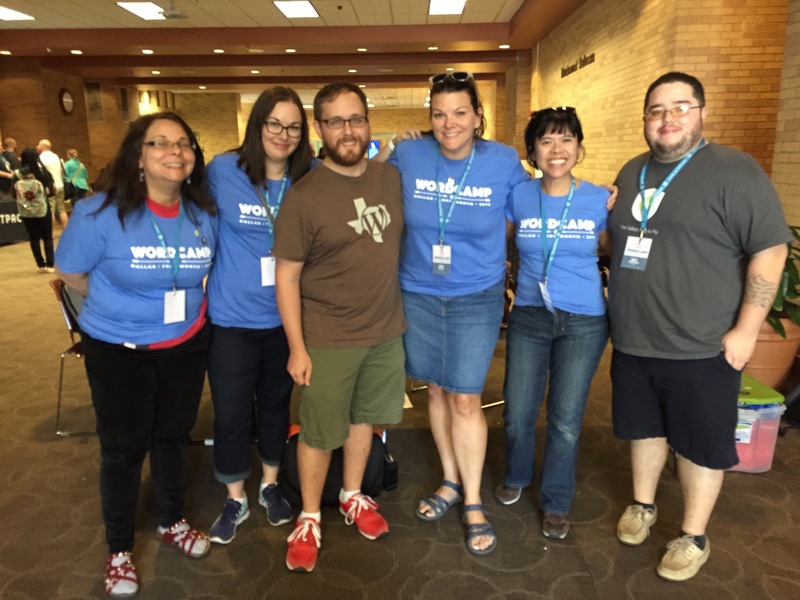 I was volunteer coordinator at WordCamp DFW. The boys started playing soccer. We were devastated by the loss of our dear friend Gareth. Ran my twelfth half marathon. The first ice cream of many. George and I celebrated our tenth anniversary! We went on a big cruise. Shortly, this wine will be all over my jeans and the table. 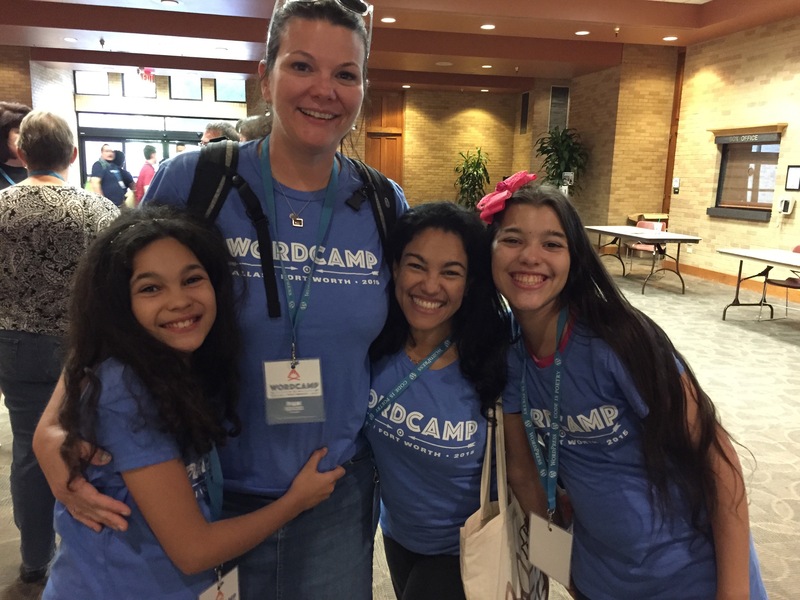 I’m in Dallas now for work, helping out as Volunteer Coordinator of the DFW WordCamp. It’s really great to get to see how these events come together, since we’re working on organizing a WordCamp NOLA sometime next summer. This has been a great learning experience. This is my second WordCamp ever – I attended the WordCamp in Dayton, Ohio earlier this year and gave a talk on Making Blogging a Habit. I…have not been habitually blogging lately. But I am going to take my own advice and just put something down and publish it. Kids Camp! I love this idea. Totally doing this next year. One year ago, I wrote this post. A year ago, I had my first day at Automattic. Mind you, it wasn’t my first day as a full-time employee, but it was the first day of my Happiness Engineer trial. 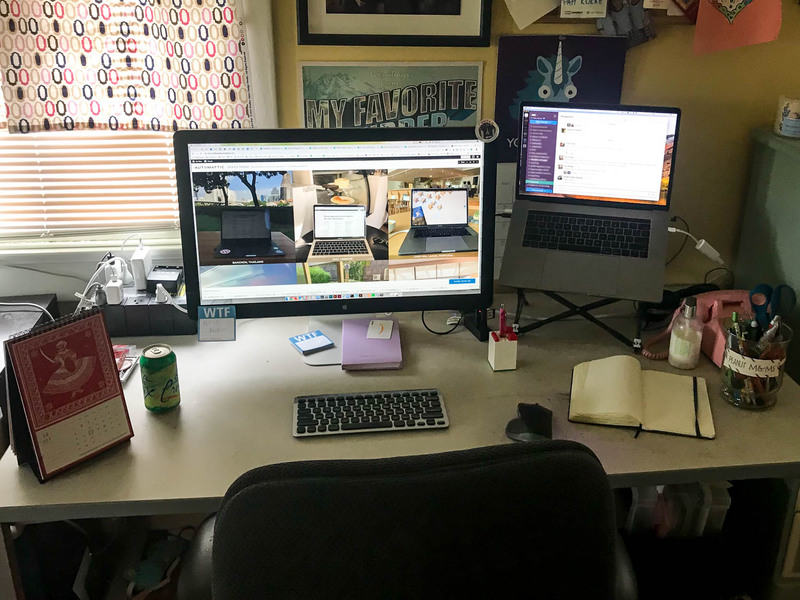 A few weeks before, I’d sent in my resume at the urging of a friend, and the intervening days had been filled with checking my email obsessively, hours-long Skype interviews, and hopes that I’d move on to the next step. And here we were, the first day of my trial. Now, two years after that life-changing first day, I’m actually running trials. Earlier this year, I started working on the Happiness Hiring team, and now I do that half of my time, and spend the other half of my days helping users. I really love it. I interview prospective Happiness Engineers, and guide them on the path to hopefully getting hired, but I also still get to interact with our users. I really love all of it. This was a great “second year” with Automattic. I traveled to Utah, Spain, uh, Dayton, and New York City. Next month, I’ll be back in Park City, and who knows after that? *I mean, technically, no, I’m still a couple of months away from my official Automattic anniversary, when I started full-time, but let me have this, okay? Ate at some amazing restaurants. The Spotted Pig had the most incredible corn soup. 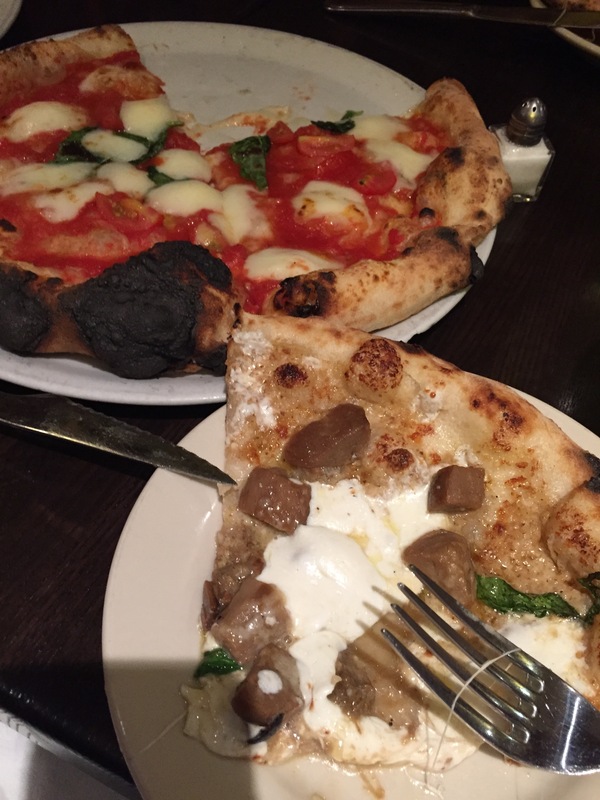 At Kesté, we ate maybe the best pizza I’ve ever had. I had Korean food for the first time ever. We had Thai. I can’t even remember what all I ate, but it was all delicious. Oh yeah, I finally had a Shake Shack burger! Totally worth the wait. Especially the bun. I walked a ton. Finally made it all the way to the top of Central Park. Went running with a coworker in Central Park as well. Saw coordinating black and white dogs. 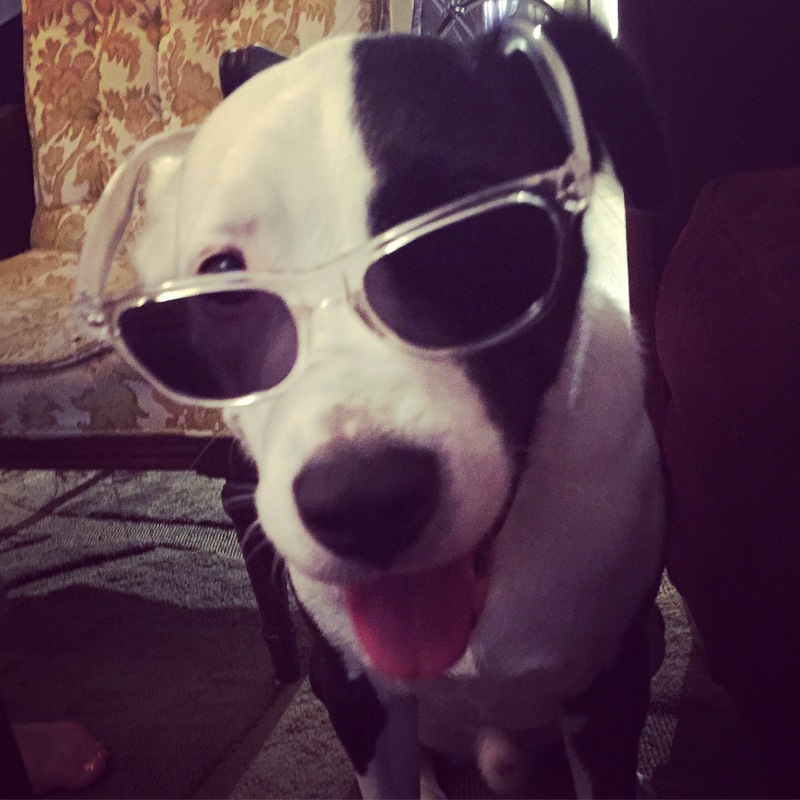 Speaking of black and white dogs, got to hang out with my coworker and her dog, Francis, in Hoboken. Went to a work reception thing after BlogHer, got to hang out with more coworkers.